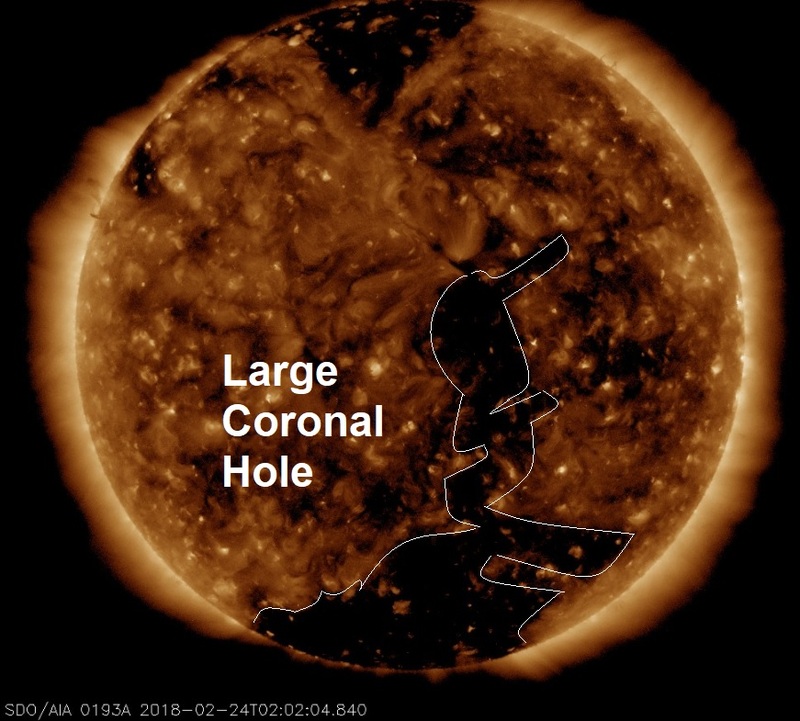 An enormous canyon-like hole has opened up in the Sun's atmosphere which is ejecting a high-speed stream of solar wind travelling at mind-boggling speeds of around 700 to 800 km's per second, or more than one million miles per hour which should reach Earth's magnetosphere on Monday the 26th of Feb.
NOAA has forecasted a 65% chance of G1-class geomagnetic storms with bright auroras when the fast speeding solar wind arrives. We can expect major quakes in the coming couple of days after the recent calm, the last major quake was the mag 7.2 which hit Mexico on the 17th of Feb. It's worth mentioning that of the 18 major quakes to hit our planet this year, 17 of them have occurred during coronal activity on the Sun and 14 of them has been around the very volatile Pacific Ring Of Fire so stay tuned!